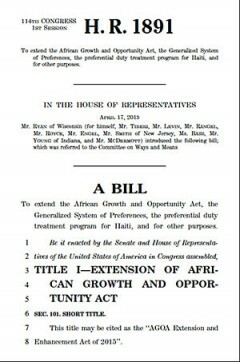 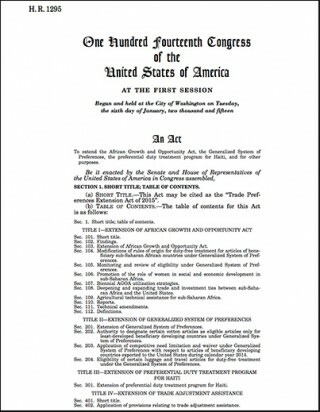 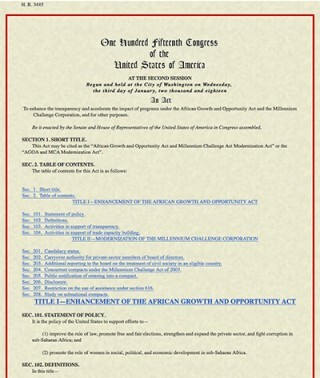 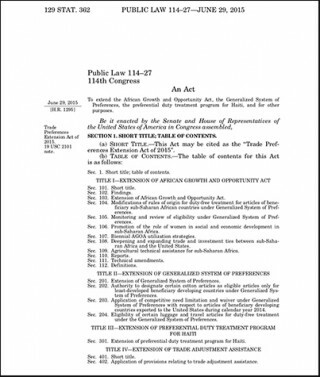 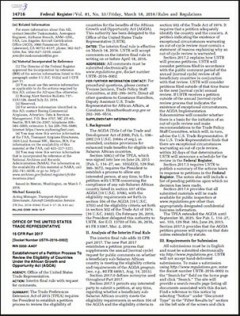 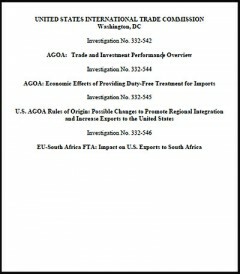 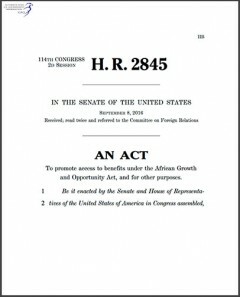 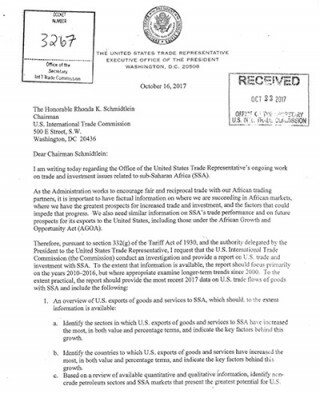 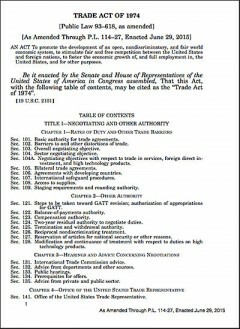 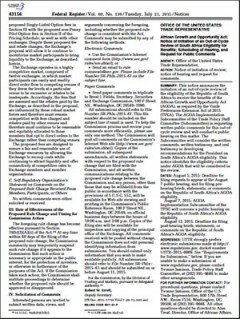 Documents including US legislation relating to AGOA are housed within this section. 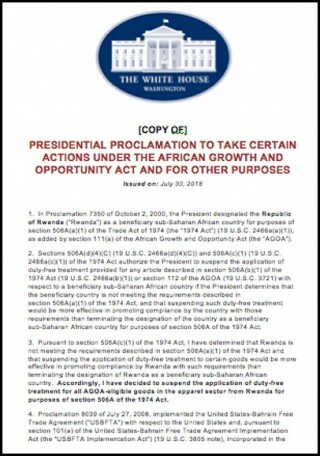 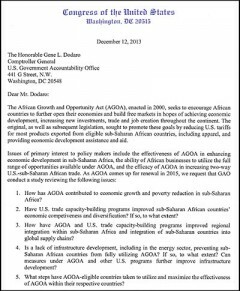 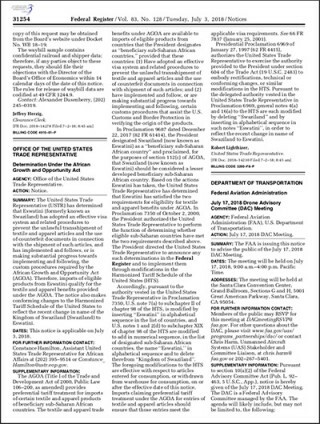 Presidential proclamation to take certain actions under AGOA and for other purposes. 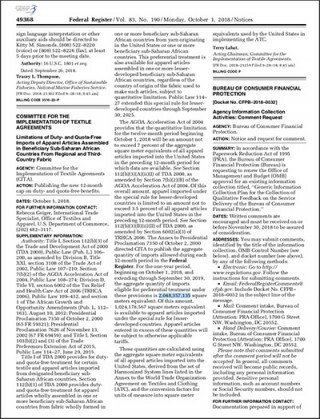 Federal Register Announcement - Apparel Quotas 2015-2016, as published on 25 September 2015. 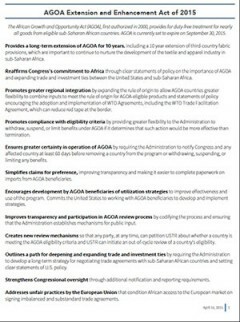 Summary and key points of the AGOA Extension Act 2015. 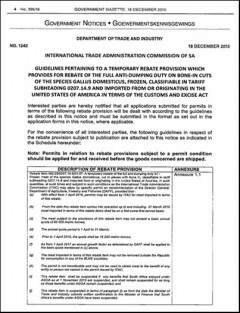 Limitations of duty- and quota-free imports of apparel articles assembled in beneficiary Sub-Saharan African countries from regional and third-country fabric. 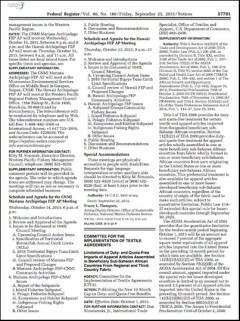 Publication of the new 12-month cap on duty-and quota-free benefits.